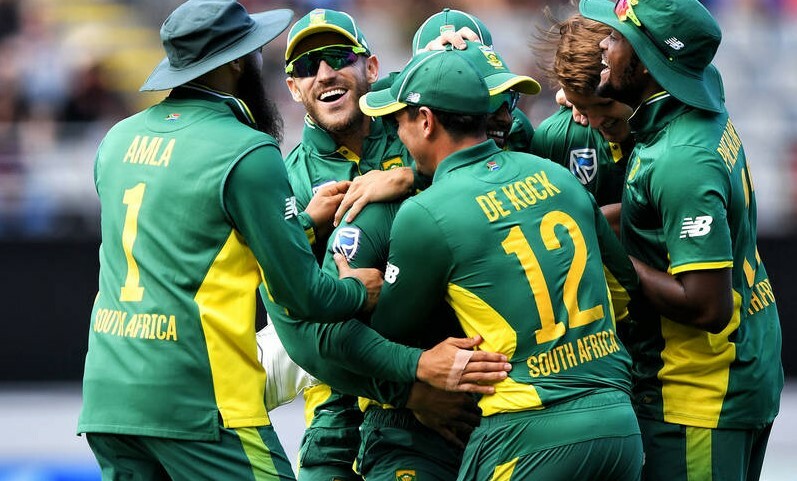 There seems to be no end in sight for South African cricket fans at the moment as maladministration, corruption and poor leadership plagues the office that presides over the game in the rainbow nation. As distressing as this is for fans of the Proteas, it’s not exactly breaking news, as this sort of practice has been going on for a while. What will be concerning, however, is the fact that the country’s best players are now beginning to turn their back on the ongoing circus. Duanne Olivier was the latest player to decide he would be better off making himself unavailable for selection for the Proteas when he signed for Yorkshire on a three-year deal as part of a Kolpak agreement. This makes the 26-year-old ineligible to play for the Proteas until 2022, given the fact that he has committed to 36 months of County cricket in England. It’s a decision that has left a dreadful taste in the mouths of the South African supporters with many left in two minds as to whether they would even want Olivier to play for the national team again, given that they perceived his actions as being a brutal act of betrayal. To add insult to injury, Olivier quickly quashed any internal conflict that Proteas fans may have been having by stating that he was hoping to play for England once he becomes eligible for selection. You can only imagine how that went down in South Africa with fans feeling hurt and confused, but most of all angry. It was only a month before Olivier made his decision, that he picked up the Man of the Series award against Pakistan, following an impressive performance and taking 24 wickets for the Proteas during the three-match Test series. How could this world-class bowler be turning his back on his country three months before a World Cup when they are among the early favourites at 9/1 in cricket betting to win the competition, to trundle on for Yorkshire on the County circuit? At the time there was a great deal of vitriol aimed at Olivier but as time passes, that anger is being redirected at the fat cats of Cricket South Africa for allowing a player to entertain the idea of putting County Cricket before the national team. What has gone so drastically wrong for players from the rainbow nation who grew up wanting to be Allan Donald, Shaun Pollock, and Makhaya Ntini, to now deciding that it is no longer the greatest honour to represent their country? The obvious answer is money. At around $200,00 a season with Yorkshire, Olivier will be earning close to triple of what he could have earned had he stayed in South Africa. That’s all good and well and yes, we have heard it many times before that a sportsman’s career is very short, and they should do what they can, whilst they can, to earn as much as possible. Which raises the question, why haven’t the custodians of South African cricket cottoned on that their wages are no longer competitive enough to keep the nations best players from seeking alternative employers? The money is there, but why isn’t it being spent on retaining the county’s best prospects? And where is it going instead? In a few years time, the narrative around Olivier’s decision would have changed from persecution of the player to condemnation of the organization, Cricket South Africa, for overseeing the biggest exodus of the country’s best talent. Ominous clouds fill the horizon of the rainbow nation and a storm that has the potential to wipe out the identity of South African cricket is on the way, at this stage, it’s hard to see the governing body of cricket in South Africa surviving it.